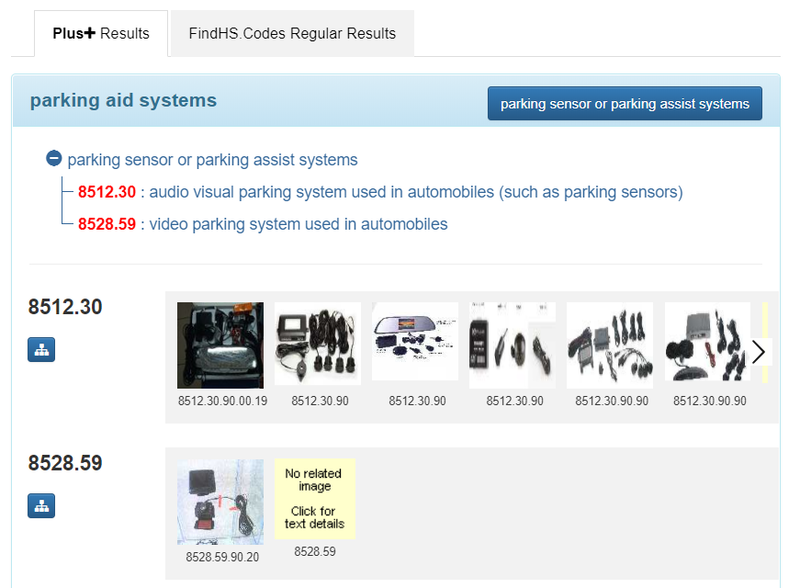 What is new in Find HS Codes search engine? FindHS.CodesPlus uses ontology, natural language processing and special artificial intelligence algorithms to best match user’s search items with the correct 6 digits HS Codes. FindHS.CodesPlus works on top of FindHS.Codes and it extends searching capabilities of FindHS.Codes. FindHS.CodesPlus uses ontology, natural language processing and special artificial intelligence algorithms to best match user’s search items with the correct 6 digits HS Codes. The system also employs special structure which guides the user when necessary. Currently FindHS.CodesPlus system solely and exclusively covers Chapter 85. Chapter 85 of the Harmonized Commodity Description and Coding System classifies “Electrical machinery and equipment and parts thereof; sound recorders and reproducers, television image and sound recorders and reproducers, and parts and accessories of such articles”. You may use this link to see more detail regarding Chapter 85. We have chosen Chapter 85 because we believe this chapter addresses the most comprehensive and controversial goods. We are currently working to extend FindHS.CodesPlus coverage with other chapters of the Harmonized System. What does FindHS.CodesPlus offer more than FindHS.Codes? so that the user can learn more about the functioning of HS Code System and find-out the best possible results among many alternatives. 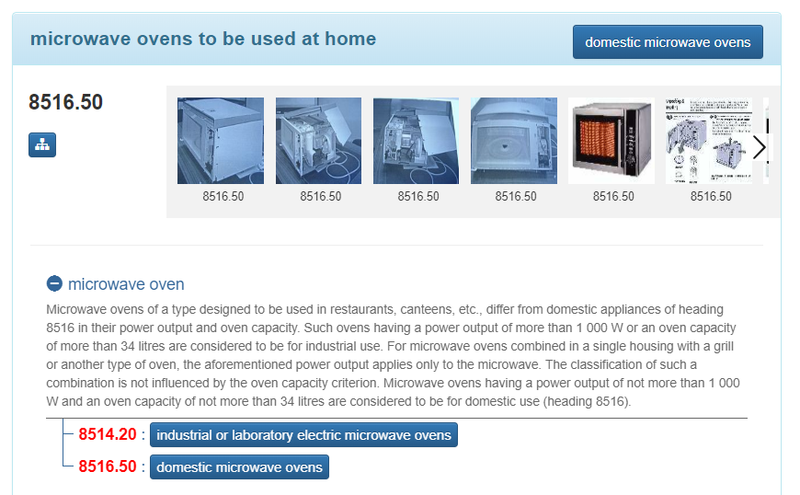 Another very important novelty of the system is to show the user how interrelated and other similar goods are classified within the HS Code System. 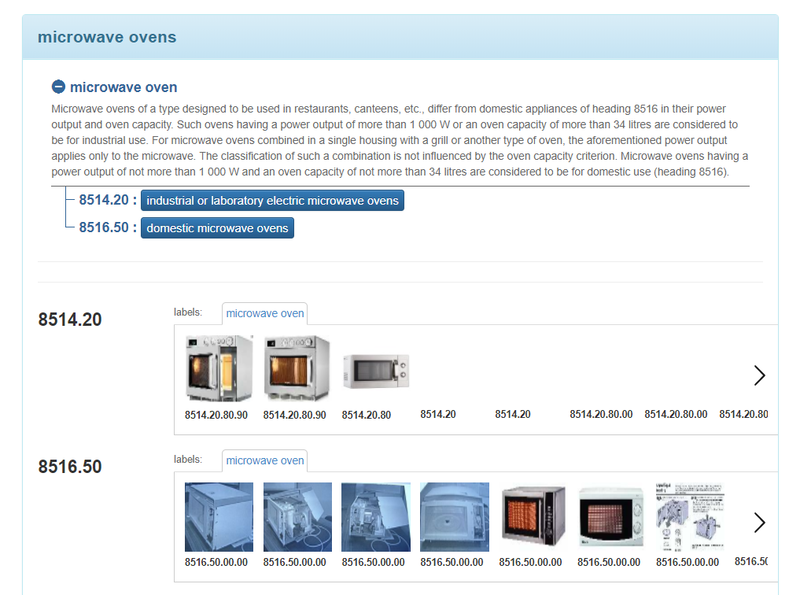 This screen shows user HS Codes, related pictures and other possible uses of the searched product (i.e. "Parking assistance systems") as seen on the right part of the above screen. On the left-hand side, the user can see and learn more about other related products in a decision tree based structure. For instance, the user may click on "radar detectors" within the tree and see the HS Codes, related pictures and other possible uses "radar detectors" easily. Another main difference between FindHS.Codes and FindHS.CodesPlus is, FindHS.Codes is a free to use system, whereas FindHS.CodesPlus will be for subscriber’s only. Currently the system is in beta test phase and open for all users free of charge. We highly appreciate your valuable opinions and suggestions during this phase. If you deal with electrical machinery and equipment, we strongly advise you to use FindHS.CodesPlus. As outlined above, FindHS.Codes+ currently covers solely and exclusively Chapter 85 of the Harmonized System. Our efforts for broadening the coverage have been continuing for quite some time and we soon announce new Chapters. Subscribers will benefit from newly added coverage without making any payment during their subscription period. When a query is made, the system automatically decides whether to use FindHS.CodesPlus or not. If the searched product is determined to be categorized under the chapters already covered by FindHS.CodesPlus, the user will first see the FindHS.CodesPlus results. In this case, the user may switch to the regular FindHS.Codes results by clicking “FindHS.Codes Regular Results” tab.